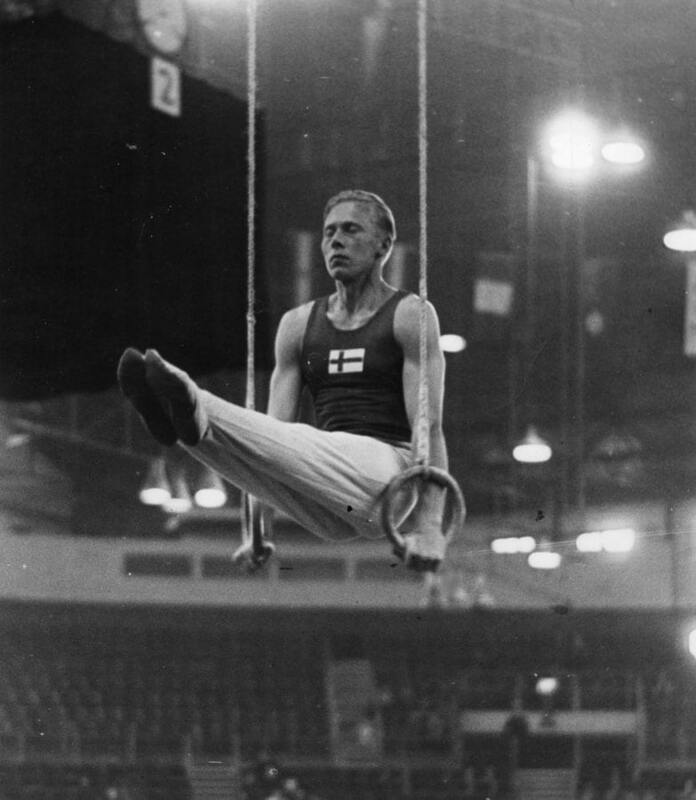 Winner of three Olympic gold medals, Veikko Huhtanen is the most successful Finnish gymnast of all time. Huhtanen dominated the gymnastics events at the 1948 Olympic Games in London. He won gold in the overall competition, the team competition and in the pommelled horse, where he shared victory with his team-mates Paavo Aaltonen and Heikki Savolainen. Huhtanen also took silver in parallel bars and bronze in horizontal bar. During his later career Huhtanen often suffered from injuries. He recovered enough to win silver in horizontal bar at the World Championships of 1950, but in 1952 shoulder injury robbed him of chance to defend his Olympic titles in front of home audience in Helsinki.